We are pleased to announce that Victor García has joined Strongwell as Production Supervisor for STRONGWELL S. de R.L. 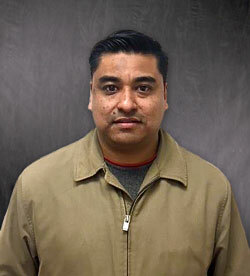 de C.V. Victor will report to Antonio Garza and will be in charge of a production shift for the Mexico facility. A native of Monterrey, Victor received his Bachelor´s Degree as Mechanical Administrator Engineer from Universidad Metropolitana in 2013.Victor has extensive experience in maintenance processes and leading personnel in the steel industry. Victor is married and resides in Apodaca with his wife, Nylse, and two sons, Jairo and Victor. In his free time, Victor enjoys going to the cinema, his favorite genre is comedy. He likes soccer and his favorite team is Rayados. Please join us in welcoming Victor to Strongwell.